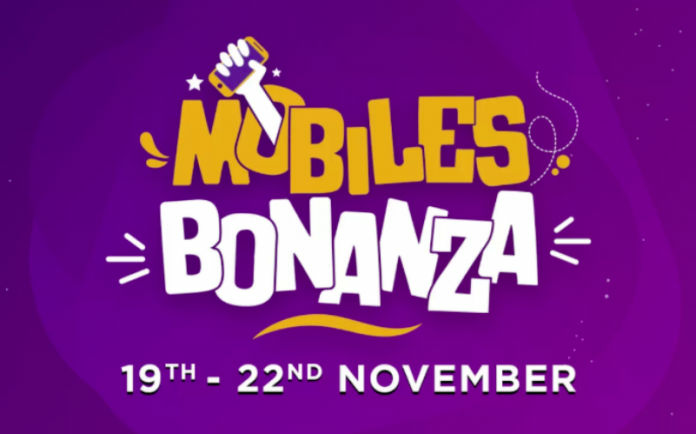 Flipkart is having its Bonanza Sale for four days, from the November 19th to November 22nd. 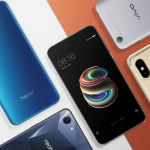 The online retail store is selling a wide range of Honor smartphones, from various market segments, at amazingly discounted prices! Indian online retail stores are striving to offer the best discounts. 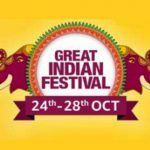 This India festive season, India has seen some great deals on sales from Flipkart and Amazon. 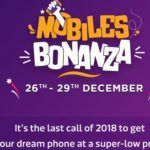 In an attempt to attract consumers this post-festive season, Flipkart has decided to have yet another sale: Mobile Bonanza Sale. This sale spans over a course of four days, starting from November 19 and ending on November 22. 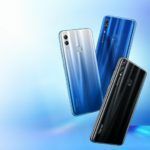 Honor has seen it as a wonderful opportunity to gain the attention of a wider audience looking out to buy smartphones. 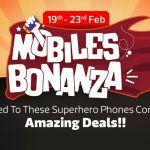 Many Honor phones will be available at attractive discounts during the Flipkart Bonanza Sale and the great thing about it is that smartphones from different tiers and market segments will be available at outstanding discounted prices. The Honor 9N, launched in early 2018, is powered by the Kirin 659 SoC. This chipset has an octa-core CPU and ARM Mali-T830 MP2 GPU. The variant with 3GB RAM and 32GB internal storage is currently on sale at an outstanding discount of INR 2,000. The smartphone features a 5.84-inch screen with a display resolution of 1080×2280 pixels. In the camera department, the smartphone is equipped with dual-rear camera (13MP + 2MP) and a single 16MP selfie camera. To ensure that the device has a decent battery life, it houses a 3,000mAh battery. This is the variant of the Honor 9N which is equipped with more RAM and internal storage. It has 4GB of RAM and 64GB internal storage. However, all other specifications and hardware remains exactly the same as the 3GB RAM+32GB storage variant. The 4GB+64GB model is available at an amazing discount of INR 2,000. The Honor 7A is a budget offering by Honor. However, it still does manage to pack quite a punch when used for daily tasks. Equipped with the Snapdragon 430 and coupled with 3GB RAM and 32GB internal storage, the device can still hold up in 2018. Courtesy of its support for expandable storage, the limited internal storage won’t pose much of a problem. Although being a budget smartphone, the Honor 7A features a dual-rear camera setup of 13MP + 12MP and a front-facing 8MP camera. The smartphone runs on a 3,000mAh battery and comes with Android 8.0 Oreo out of the box. The Honor 7S has received a price cut of INR 1,000, owing to Flipkart’s Bonanza sale. However, while this may not seem like much it is so when considering just how much the phone actually costs. The device is more or less an entry-level smartphone with a MediaTek MT6739 SoC. As expected, the smartphone has a single rear-facing camera of 13MP and a front-facing camera with 5MP resolution. One of the highlights of the Honor 9 Lite is its front as well as rear-facing dual-camera setups (13MP+2MP). The device supports face unlock and is powered by the Kirin 659 chipset. This is coupled with 4GB RAM, 32GB internal storage and up to 256GB expandable storage (via microSD card). The phone is currently available at a discounted price of INR 9,999. The device has a decently-sized screen of 5.65-inches with an FHD+ display. The only difference between this variant and the previously-listed Honor 9 Lite is the memory and storage configuration. This variant has 4GB of RAM and 64GB of internal storage. It is available at a price of INR 14,999, with up to INR 3,000 off on an exchange. The Honor 9i, like many other budget Honor phones, is powered by the Kirin 659 SoC. The smartphone sports a 5.9-inch screen with a Full HD+ resolution. This device is available at an attractive discount of INR 2,000. The device features a dual-camera setup at the front as well as the rear. This is something which is rarely seen on most budget smartphones. The phone is equipped with 4GB RAM and 64GB internal storage, with support for expandable storage (via microSD card). The Honor 10 is the company’s most premium smartphone in India. The device is currently available for a price that you just cannot refuse. As of now, the Honor 10 on Flipkart is available at a discount of INR 8,000. The device has a 5.84-inch screen with a Full HD+ resolution. It is driven by the Kirin 970 chipset and coupled with 6GB RAM and 128GB internal storage. It’s no slouch in the camera department as it features a 24MP+16MP dual-rear camera and a 24MP single front-facing camera, both assisted by AI for better imaging. This is perhaps one of the best offerings from Honor at the Flipkart Bonanza Sale.